This investment in innovation of over EUR 1 million euros is aligned with the development strategy for the Alstom site in Le Creusot, the group’s centre of excellence for bogie design and production. The site’s expertise is deployed in major rail projects such as the new-generation RER and Avelia Horizon, the fifth generation of TGV. Around thirty projects are currently being developed and manufactured at the site. 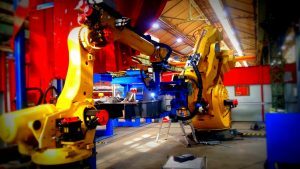 The new welding robot will help respond to this high level of activity by reducing production times. Alstom’s Le Creusot site currently employs over 700 people, who design, approve, industrialise and manufacture 1,500 bogies and 15,000 dampers on average every year for the group’s whole range of rolling stock.